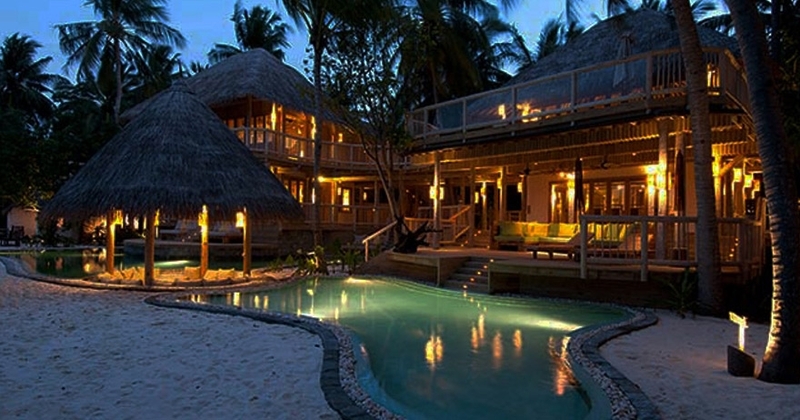 Soneva Fushi is a heaven in an Island, where simplicity is re-invented in an ultra-luxurious setting. 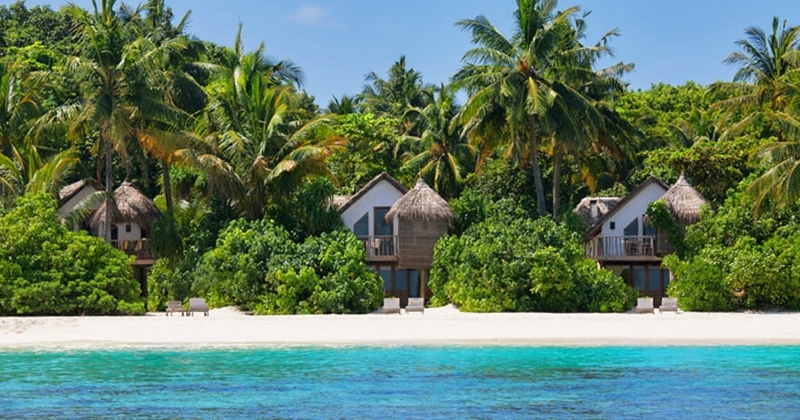 Focused on barefoot luxury, Soneva Fushi practices the no news, no shoes’ concept where all the guests are encouraged to experience the best the Island and the resort has to offer. 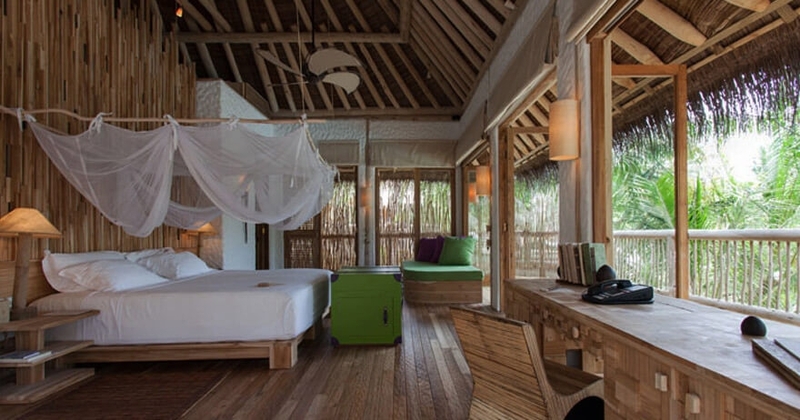 The ‘Slow Life’ Philosophy at Soneva Fushi is ideal for those who seek to unwind and escape from their everyday life, a wellness traveler’s dream come true. 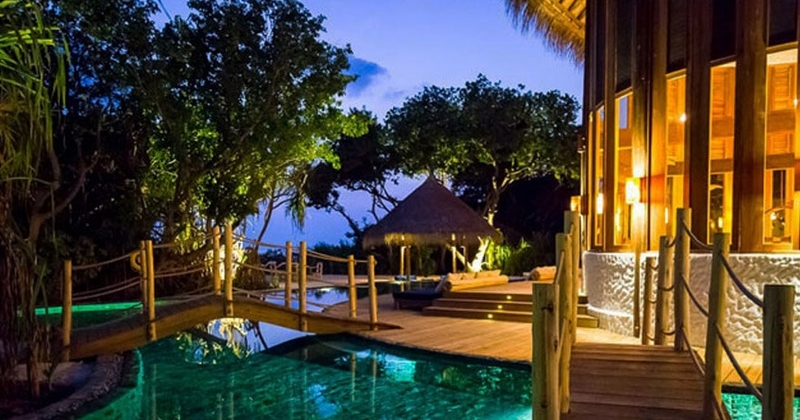 Watch outdoor movies at the Cinema Paradiso, count Saturn’s rings in the Observatory, make every moment count in the magical heaven of Soneva Fushi. An experience of a lifetime to transport yourself to extreme isolation and live the life of Robinson Crusoe as we have read and heard in stories which have been told and retold over decades. A castaway experience with simplistic luxuries and amenities while surrendering yourself to the breathtaking beauty of nature. Enjoy the rustic charm of the Crusoe Villa where the added benefit of your own private pool will provide serenity amidst the serene surroundings gifted by nature. Take your Yoga mat outside and breathe in the fresh salty air as you practice your poses before you begin your day. The spacious two bedrooms provides ample space to call this your own private heaven isolate and detached from the world. A retreat for the entire family to focus on personal wellbeing while indulging in simple luxuries and nature. Bond as a family or ideal for girlfriends’ Spa getaways. 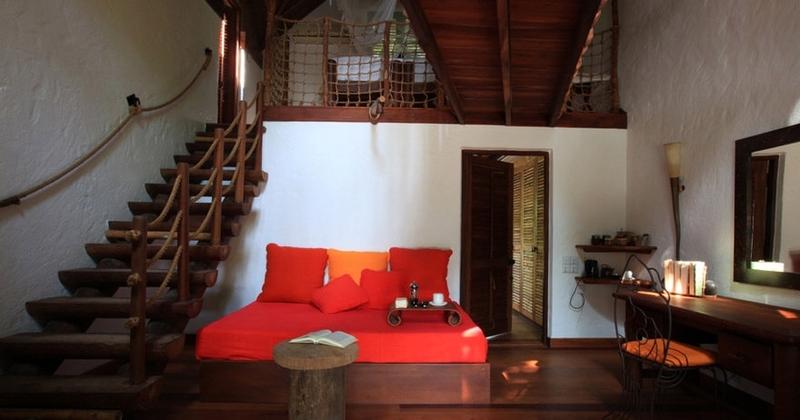 The rustic charm, the wooden interior and the soft hues of this beautiful simple Villa is ideal for ultimate relaxation. 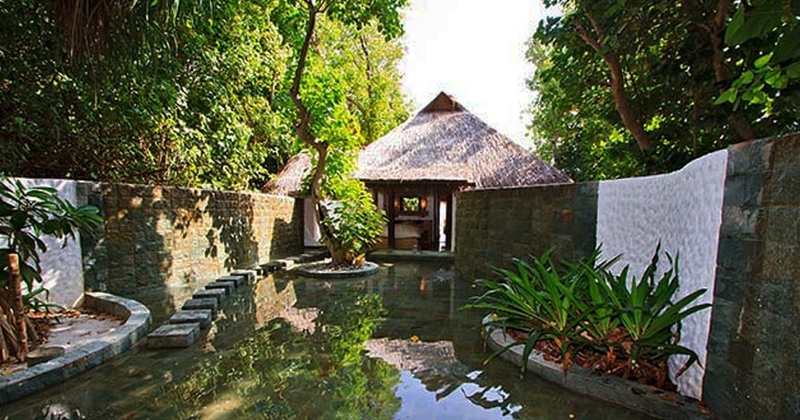 The highlight of this Villa is the large luxurious open-air garden bathroom. After a day of Yoga, meditation and Spa treatments enjoy an aroma therapy soak in your oversized bathtub surrounded by lush greenery. 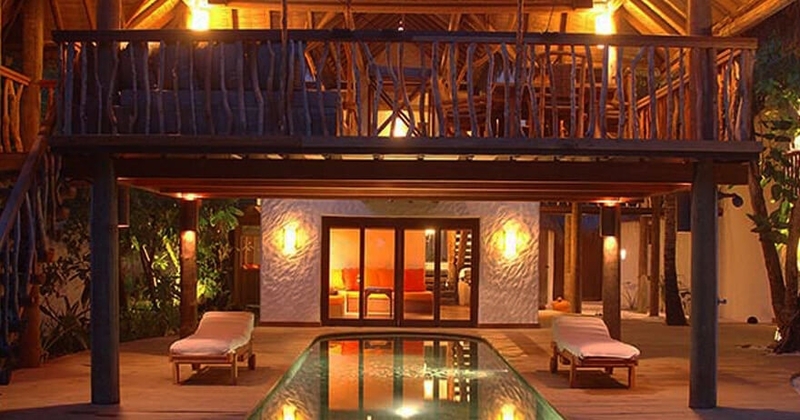 A gorgeous rustic Villa for the entire family or to share with your girlfriends during your Spa getaway. 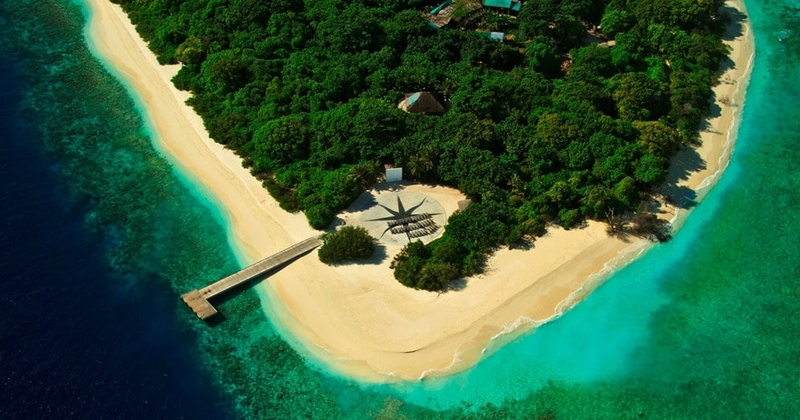 An ideal space to connect with one another and experience the simplicities of a slow life in this magnificent Island. 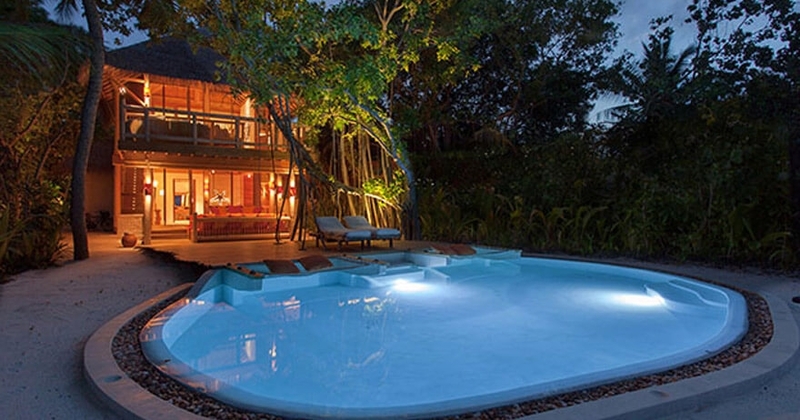 An ideal intimate space for honeymooners, with all modern luxuries seamlessly connected with nature. 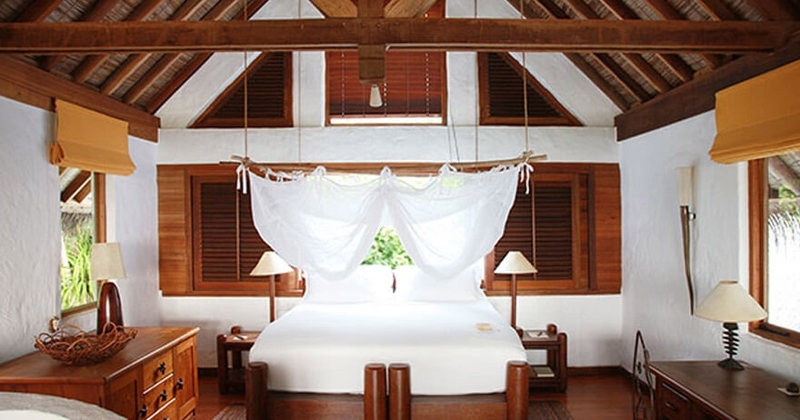 Romance away in this beautifully crafted villa with the rustic interior and the beauty of surrounding nature. With a separate deserted-island chic sitting room and outdoor sitting areas this villa is perfect for ultimate relaxation. 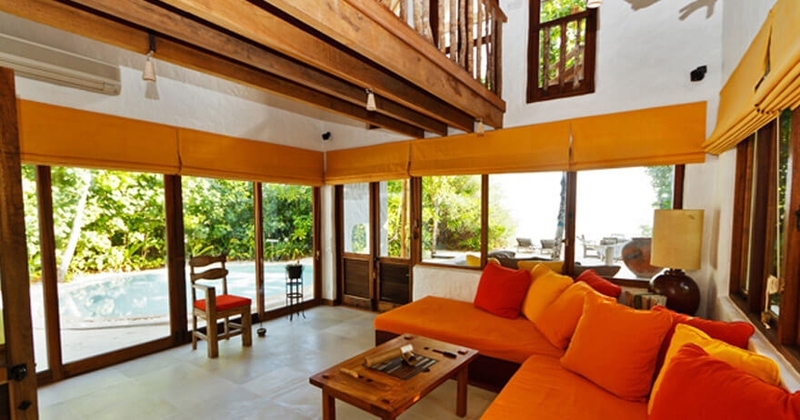 This beautifully designed spacious 2 bed room Villa with a natural sea water plunge pool is a dream come true for those who wish for complete isolation in a paradise Isle with their loved ones. 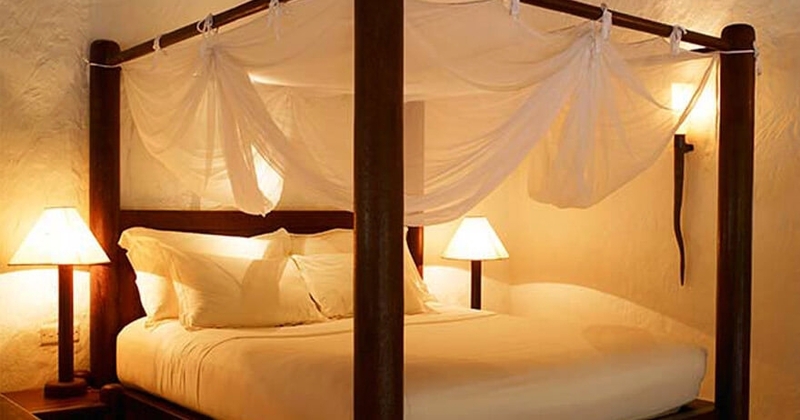 Simple yet luxurious amenities will enhance your wellness holiday experience at this Villa. Your private heaven to serenity and bliss with a spacious bedroom and an additional sitting room including a private pool. 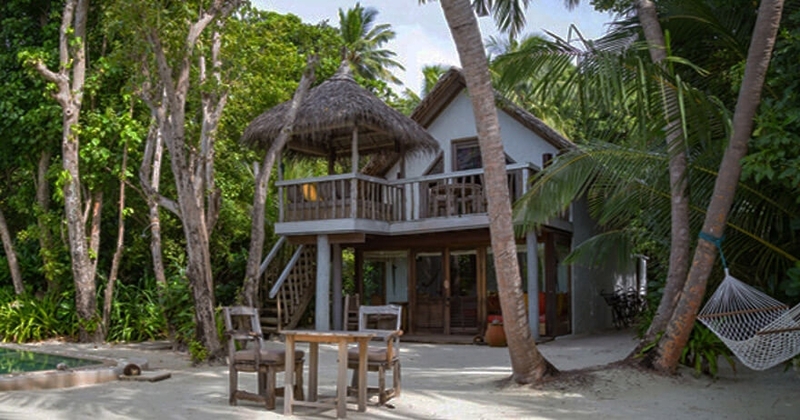 Elevate your Island experience at this magnificent Villa as it also gives you access to a tree house which will take you on a nostalgic path to your childhood. 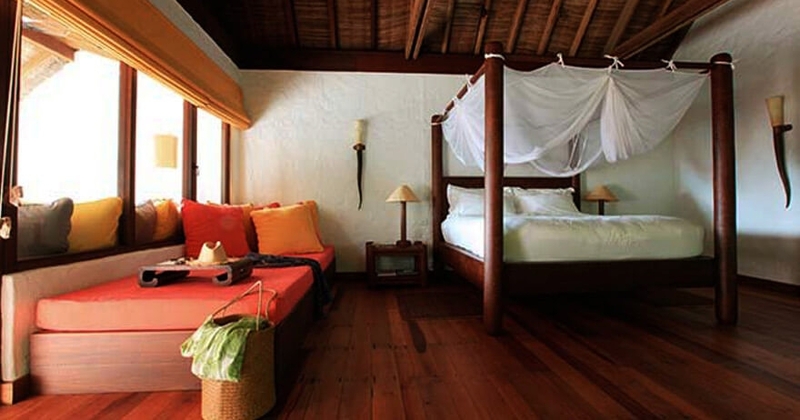 Discover the magic of this Island paradise as Robinson Crusoe as you unveil a whole new side of happiness within yourself in this beautiful 2 bed room Villa. This breathtaking Villa offers you upstairs and downstairs spaces to indulge, unwind and relax with your own private pool and 2 open air garden bathrooms. Discover your own private paradise at this two storied Villas with an additional one-storied Villa separate from the main Villa. Your own private Pool and VIP access to the gorgeous pristine beach is all you need for an unforgettable experience. Embrace the energy of the sunrays as you wake up in this beautiful space which you can call your own private retreat. With an in-villa wine cellar, your private pool and the glory of this two storied retreat, you will most certainly live the dream of those who dream the impossible. 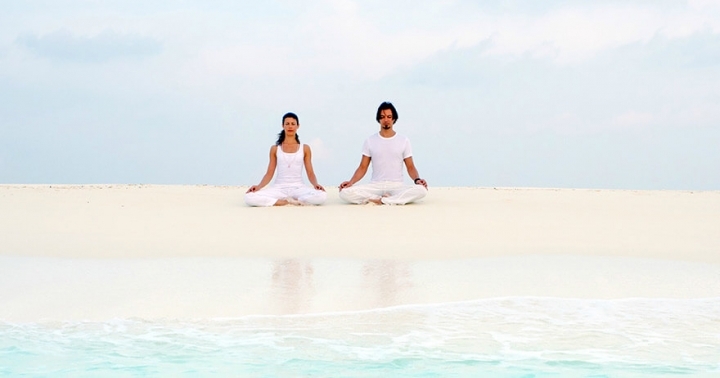 A wellness traveller’s best kept secret within this beautiful Island. Share the joys of watching the most kaleidoscopic sunsets over the serene ocean. 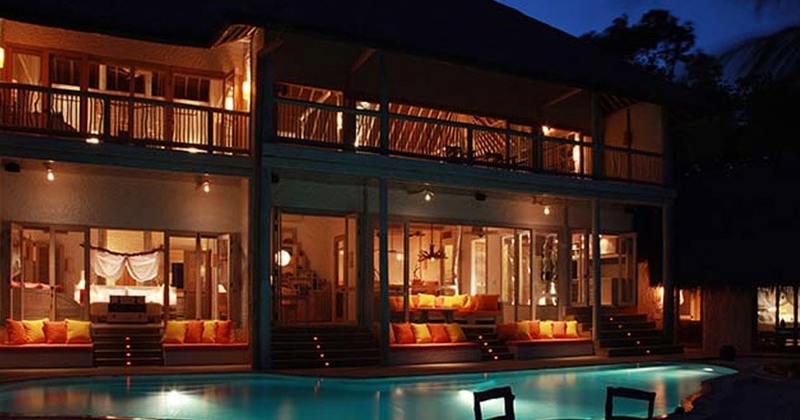 With two Villas both two storied with balconies, sprawling outdoor spaces, stunning garden bathrooms and private pool. How about dinner overlooking the sunset on your dining pavilion? Indulge and unwind. A luxurious legendary Villa with 3 spacious bed rooms, dramatic indoor living spaces, romantic terraces and tropical open living spaces for those who enjoy the finer things in life. A seamless blend of luxury and simplicity at its best. Three large bathrooms each include large bathtubs and separate showers. A private mansion oozing with all luxuries one can only dream of. The extra-large swimming pool, the spacious indoor spaces, the unbelievable outdoor spaces, the sunken dining area fills every fantasy one can have. 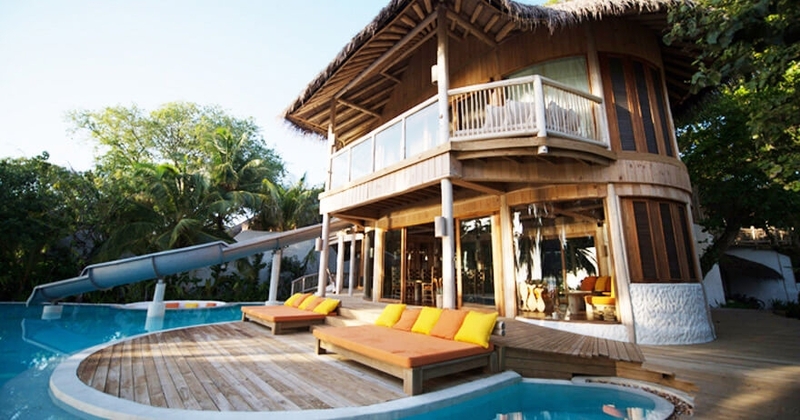 This magnificent Villa provides the feeling of your own private Island as you may indulge all you want without having to leave the beautiful premises. Enjoy the best of the lush tropics in this beautiful Island as this Villas is created seamlessly blending the lush tropical glory in its architecture surrounded by breathtaking greenery. The rustic charm, the spacious bed rooms, the separate Spa suite, Gym, Sauna and Steam will certainly make your wellness holiday one to be reminisced time after time. With spacious 4 bedrooms, large swimming pool and even a room for the nanny, you can reap maximum benefits of your wellness holiday, while your kids enjoy the best of what this Villa has to offer with its sublime indoor and out-door spaces including the slider which is connected to the pool, specially designed for those little toes which needs no resting. 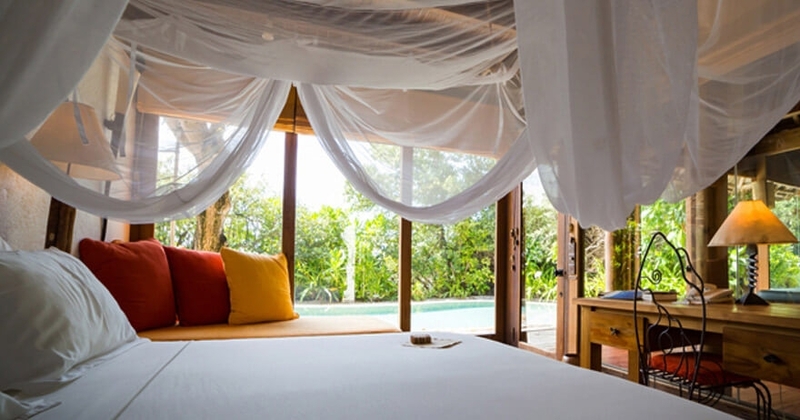 With a modern twist to the Robinson Crusoe experience, this Villa is ideal for the solo wellness traveler seeking tranquility and serenity within luxurious and tropical surroundings. This beautifully crafted Villa with its private pool is an ideal sanctuary for the one who desires calmness and ultimate relaxation. 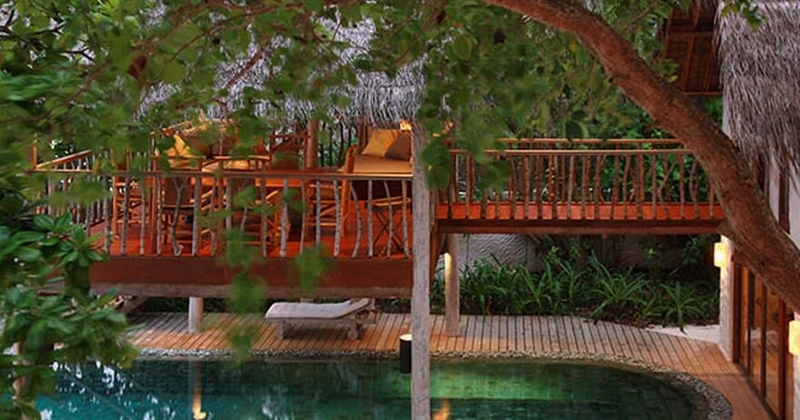 The Six Senses Spa is a peaceful enclave of relaxation and total wellbeing. 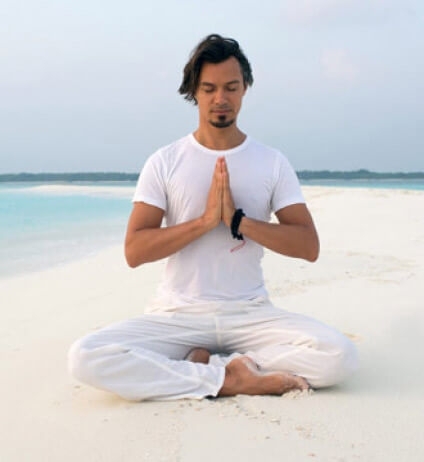 With signature treatments and Yoga, the Spa offers an extensive menu for those who wish to indulge in rejuvenating treatments to invigorate and energize the mind and body. 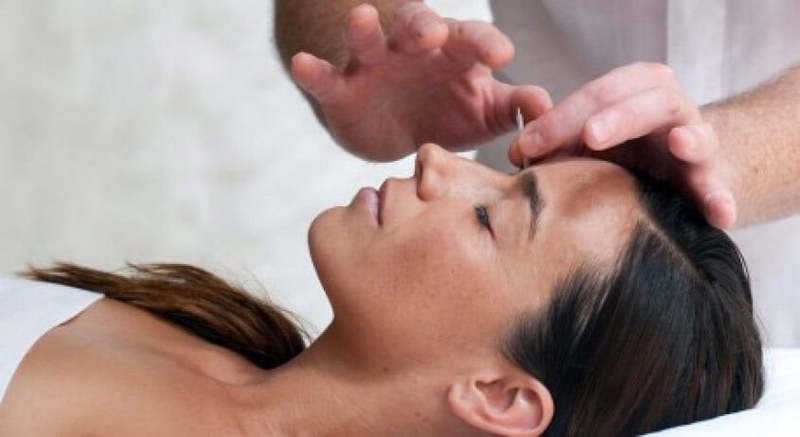 The treatments are delivered by experts from a wide range backgrounds each gifted with their own unique technique. "The Six Senses Spa Pyramid symbol visually represents the inspiration and creation of the Spa experience at Six Senses Spas. The foundation of the experience is formed by three primary senses; sight, sound and touch. The second stage builds upon this experience by appealing to the more acute senses of taste and smell, with the apex symbolising the unique sensory experience of a Six Senses Spa"
Locally inspired treatments: Kurumbaa Kaashi Coconut Rub : A truly natural and authentic Six Senses experience which starts with a natural coconut body scrub, your skin is gently exfoliated in preparation for a soothing wrap of honey and papaya. Coconut oil is then gently applied to your entire body leaving your skin glowing and moisturized. Soneva Massage : A unique synchronization of the two therapists working in harmony with a blend of five different massage styles Lomi Lomi, Shiatsu, Thai, Swedish and Balinese"
Reiki : This is a powerful ancient and hands-on healing method of accessing universal energy to release negative patterns of thought and emotion. ~ BILANZ - Switzerland's leading business magazine - 2014 "World's Best Holiday Hotels"